The Journal of the American Medical Association has come up with a novel way to stop gallstones. All you have to do is take statins. It really is that simple and it really does work. Here's why it works. It's well known that statins turn off your liver's production of cholesterol. When you have less cholesterol in your bile, you have fewer stones. That's all there is to it. But, as you may know, I'm not in favor of using a sledgehammer just to lower your risk of gallstones. Suppressing one problem (high liver cholesterol production) might set you up for another problem (impaired liver detox). And, cholesterol is an absolute requirement for bile production and liver detoxification. It seems more reasonable to correct the mitigating factors than to hit your liver so powerfully with chemicals. You can stop gallstones safely, more effectively, cheaper, and more gently with the lifestyle and diet changes I recommend in these pages. Remember, high liver production of cholesterol is going on for a reason. 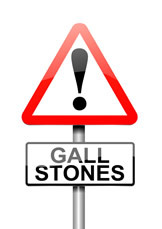 If you have higher than desirable cholesterol, and are concerned about your risk for gallstones, please consider PhosChol. Take one softgel daily. It is a super formulation of essential phospholipids that can help keep cholesterol from hardening in your bile. You also can use supplements containing choline, inositol, and methionine, all considered lipotropic agents to keep your bile flowing. Pure Encapsulations makes a fine product available online called Lipotropic Detox, which includes other ingredients for healthy bile. One or two capsules twice daily can help keep your bile flowing.